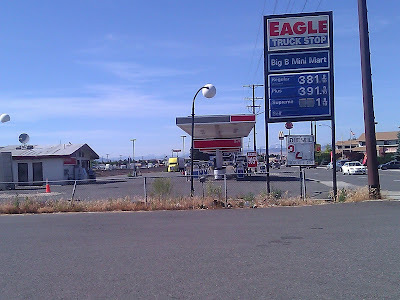 I was driving back from eastern to western Washington this last weekend, and the drive usually involves a stop in Ellensburg to refill on gas. Within about a mile off the exit is a long line of gas stations and fast food restaurants for the hungry to stop and fill up on. 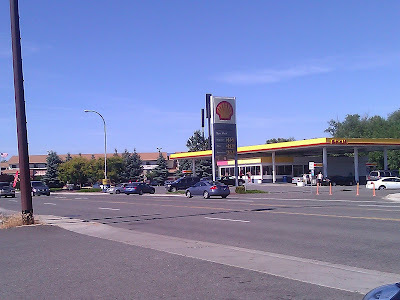 I usually pass the first couple gas stations off the exit as they are more expensive and have a line of people waiting for the pump. Instead I decided to stop at an Exxon. Pulling into the station I notice that it is not possible to pay at the pump. That's fine, I think, I have some cash in my pocket. 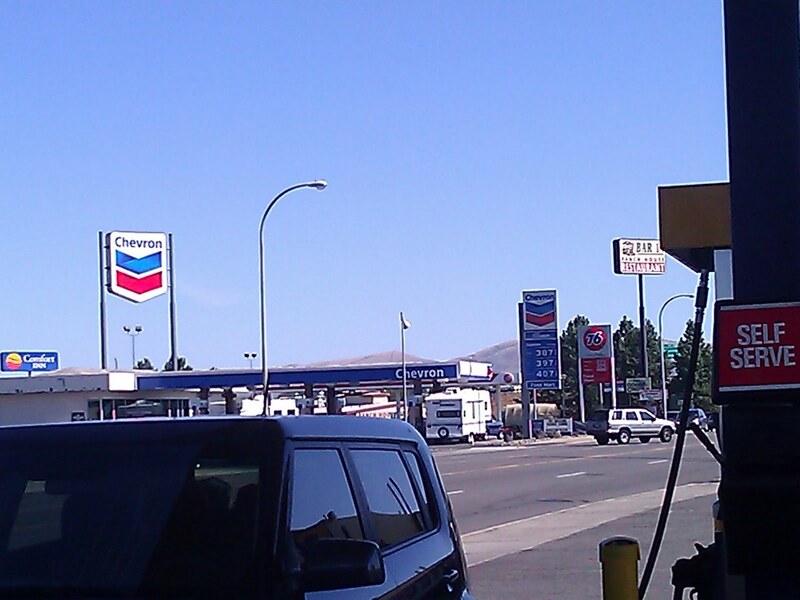 Where I stop however there are three pumps, each labeled differently so it's not clear which one is regular unleaded. The one I think is unleaded has a premium sign on it, but on top of that is a sign that says regular. I assume that it was changed to regular, and so I go inside to pay, and tell her to put $20 dollars on "the one that is unleaded. I think that is number 2." 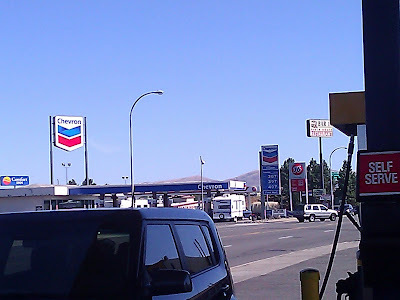 She informs me that the one that is regular unleaded is the one that is being used by the guy who parked across from me. is literally right next to the Exxon and charging the exact same amount for a gallon of gas, and allows me to fill up at the pump. 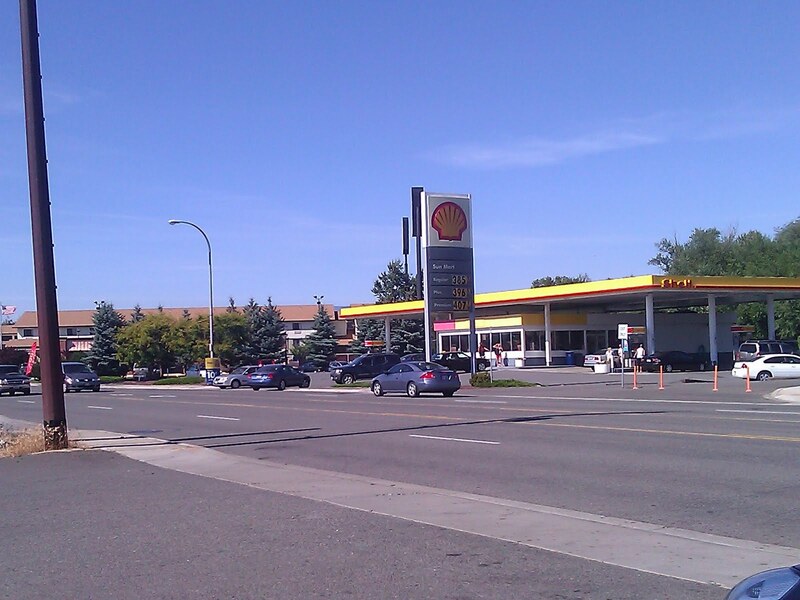 While standing I snap a picture of the only station with no cars getting gas, wondering to myself how they actually stay in business with the competition in the area.